Not just another cocktail bar! 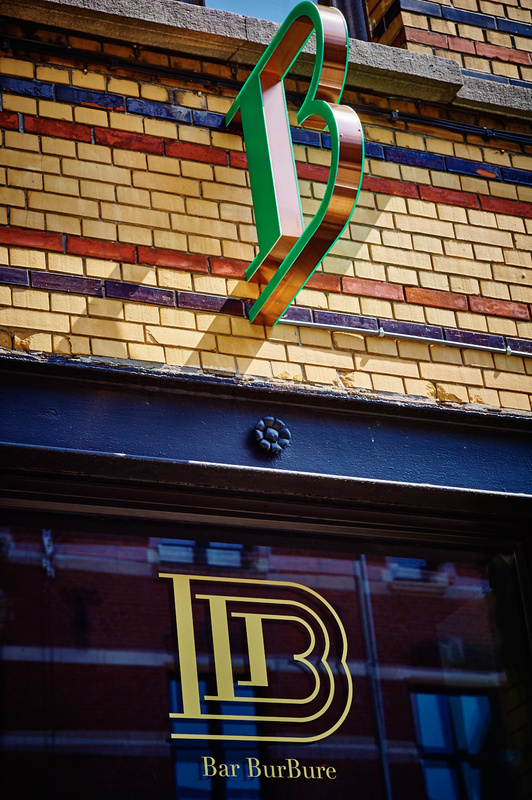 Milan, Manhattan and London come together in the upscale South of Antwerp. 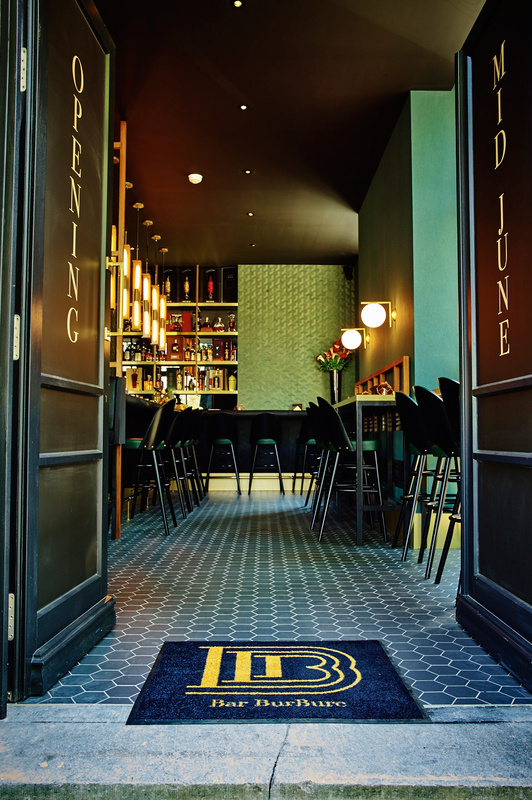 Amidst gorgeous green tiles and modern copper fixtures, patrons can enjoy the finest of cocktails in a cozy, well-appointed corner bar in Antwerp’s museum district. 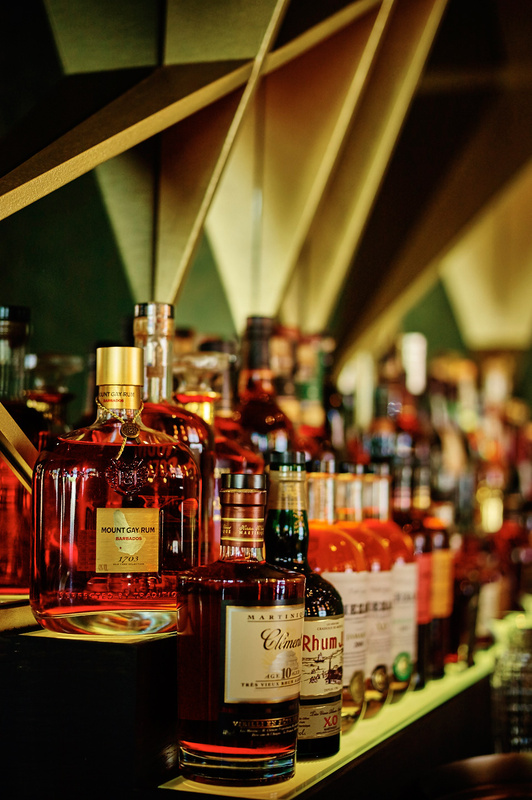 With a full bar, including premium label liquors, liqueurs, cognacs, whiskeys, plus its own trademark Forest line of specialty spirits, Bar Burbure can offer you an array of delicious libations. The carefully curated wine list changes seasonally. Beer-aficionados will be delighted to discover the Westvleteren trappist range, plus the renowned Czech-crafted Pilsner Urquell on tap. Bar Burbure has a fine selection of Spanish sherries from Bodegas Tradición and even cigars are available for enjoying outside on the terrace. 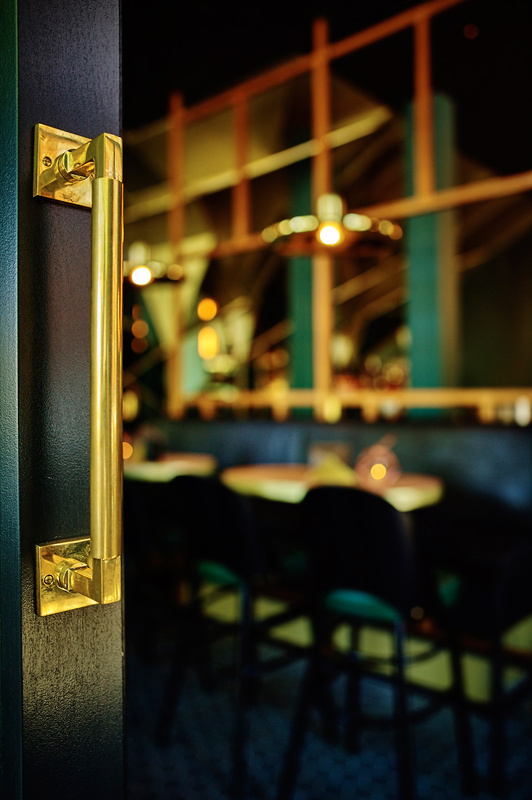 See how the fashionable Milan, quaint London, and cosmopolitan Manhattan all blend together in Bar Burbure— making it Antwerp’s epicenter for relaxing and unwinding in quiet sophistication. Last drinks served half hour prior to closing time. RESERVATIONS ARE NOT POSSIBLE. GROUPS MAXIMUM 6 PERSONS. DRINKS ARE ONLY SERVED WHEN SEATED. All our cocktails are prepared with the greatest care and attention to detail. We only work with the finest products and make sure we only use the freshest ingredients possible. Back to the days of Colonel James E. Pepper. The first use of the name “Old Fashioned” for a Bourbon whiskey cocktail was said to have been at the Pendennis Club, a gentlemen’s club founded in 1881 in Louisville, Kentucky. The recipe was said to have been invented by a bartender at that club in honor of Colonel James E. Pepper, a prominent bourbon distiller, who brought it to the Waldorf-Astoria Hotel bar in New York City. An Americano with an Italian twist. While the drink’s origins are unknown, the most widely reported account is that it was invented in Florence, Italy, in 1919, at Caffè Casoni, ex Caffè Giacosa, now called Caffè Cavalli. Count Camillo Negroni invented it by asking the bartender, Fosco Scarselli, to strengthen his favorite cocktail, the Americano, by adding gin rather than the normal soda water. The bartender also added an orange garnish rather than the typical lemon garnish of the Americano to signify that it was a different drink. Persoonlijke gegevens die u achterlaat via bovenstaand contacformulier worden niet bewaard. In het kader van de GDPR privcacywetgeving garanderen we op deze manier geen misbruik te maken van uw persoonsgegevens. You are successfully subscribed to our mailinglist! Wanneer u zich inschrijft op onze nieuwsbrief komt u het adressenbestand terecht. We zullen louter communiceren over onze evenementen, algemene informatie en sluitingsdagen. In het kader van de GDPR privcacywetgeving garanderen we dat uw persoonsgegevens niet gebruikt worden voor andere doeleinden, noch gedeeld zullen worden met derden.